Above: David Landis Self-Portrait. Printed in 1897. 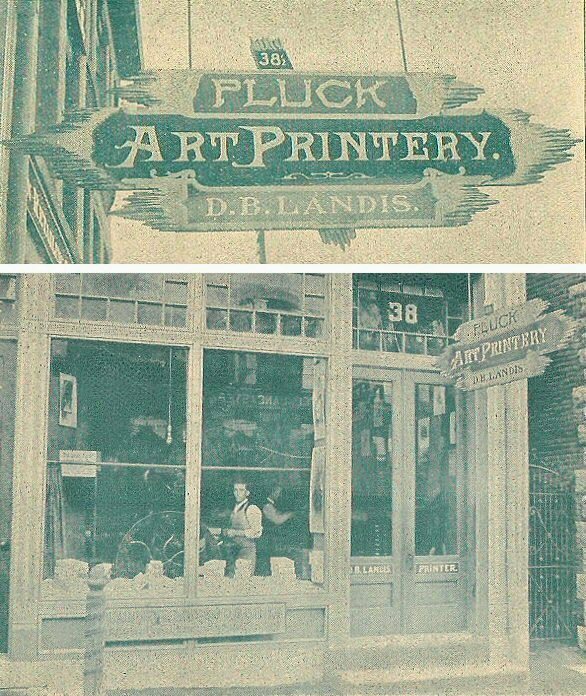 David Landis is my favorite "Plain or Odd" Lancaster printer. His stylish printing was a dramatic splash of creativity, in a world filled with his plain Mennonite relatives and conservative neighbors. David was a printer with the soul of an artist. David's work was in great demand, for his printed creations were high-style and highly-crafted. He had his finger on the pulse of all the current local fashions in graphic design and typography. 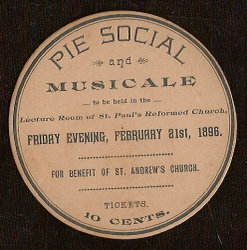 David seems to have cornered a market for printing stylish invitiatons for Lancaster's social circles. 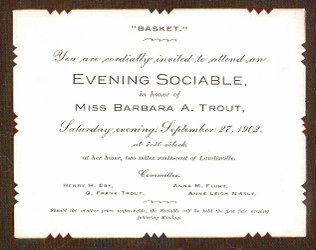 His party invitations are a showcase of elegant design and refined typography. 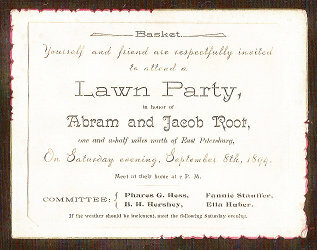 His printed invitations were for a Who's Who of Lancaster party people: small-town socialites, downtown church ladies, and farmers' wives who threw lawn parties. David called this printing his "society work," rather than his "job work." 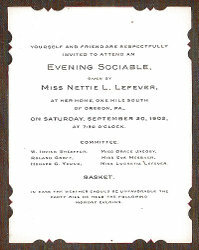 These invitations are approximately four-inches in height. They are printed on fine, card-stock paper. The reverse sides are blank. 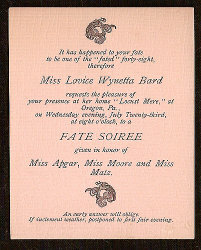 And a Fate Soiree by Lovice Wynetta Bard for Miss Apgar, Miss Moore, and Miss Matz. 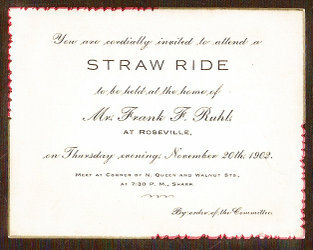 And a 1902 Straw Ride by Frank F. Ruhl at Roseville. 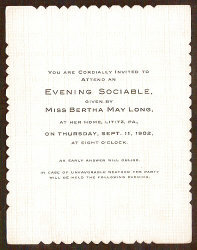 And a 1902 Evening Sociable by Miss Bertha A. Long at Lititz. 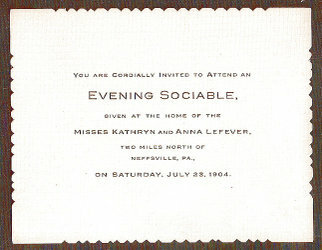 And a 1904 Evening Sociable by Misses Kathryn and Anna Lefever at Neffsville.